What's New for the 2019 Kia Sportage? For the most part, the 2019 Kia Sportage is unchanged for the 2019 model year. The changes in the 2019 Sportage are under the skin, so to speak, and involve equipment that was previously considered optional. 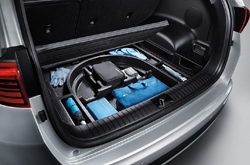 Standard safety equipment has been expanded to include much more than in previous model years. The exterior changes are minor. Kia has revised the lower bumper to make it decidedly more masculine on the front end, along with a restyled grille and new headlamps with full LED functionality. At the rear, there are minor skid plate changes and taillights that round off. Inside, drivers will find an electric parking brake on base models, while higher trims get standard Autonomous Emergency Braking (AEB), lane keeping assistant, automatic dimming rear mirror and dual-zone climate control. Which Features and Trims are Available for 2019? The 2019 Sportage has three different available trim levels. These are the LX, the EX and the SX Turbo. The base LX comes in front-wheel drive or all-wheel drive configurations. 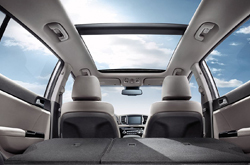 The EX front wheel drive trim has extras such as a voice recognition audio system, leatherette front seats, a multi-function remote and roadside assistance, blind spot integration, running lights and much more. The SX Turbo gives drivers advantages such as live traffic monitoring, LED daytime running lights. A simple all-wheel drive, that shifts power to the rear when the front wheels slip, is an option on all trims. How Powerful is the 2019 Kia Sportage? 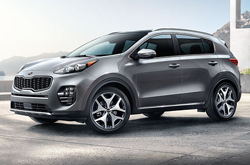 The Sportage base 2.4-liter aspirated four-cylinder engine has 181 horsepower and 175 pound-feet of torque that is paired with a six-speed automatic transmission and runs with minimal noise. The 2.0-liter turbo four-cylinder engine found in the SX Turbo has 240 horsepower and 260 pound-feet of torque that give this vehicle a smooth and efficient ride. The Sportage rides well and handles curves easily even with the base engine, especially when it is equipped with 17-inch wheels. Revised dampers and springs along with modified steering settings give the SX Turbo a decidedly different and distinct personality. It gives owners a confident drive without the tall-body sway that is common in similar crossover SUVs. The Sportage has performed consistently well on crash tests. 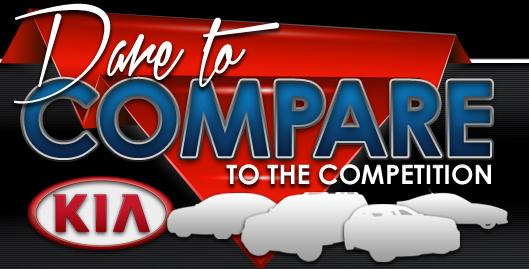 It's a Top Safety Pick for the Insurance Institute for Highway Safety (IIHS), while the National Highway Transportation Safety Administration (NHTSA) gives it five stars overall. The vehicle's Iso-Structure unibody design give it a rigid chassis, while a suite of active and passive safety systems protect the driver and passengers. Automatic emergency braking is available with every vehicle, while the EX and SX Turbo trims also have blind-spot monitoring. Stop by Joe Myers Kia today to learn more about the 2019 Kia Sportage and to take a test drive.